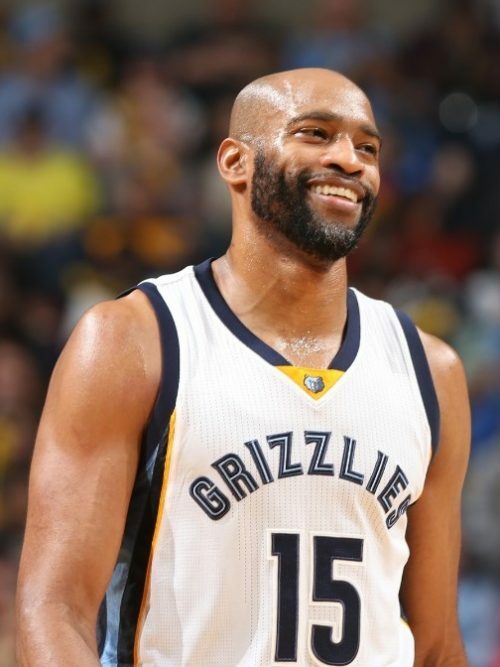 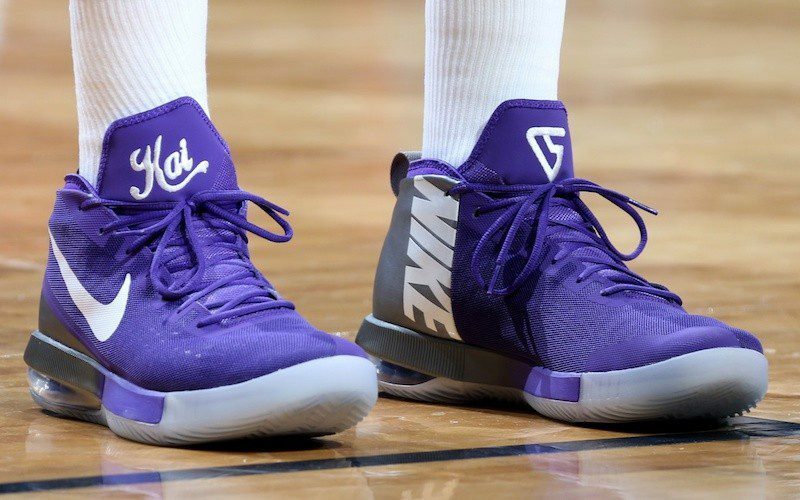 Vince Carter signed with Puma upon joining the NBA, and he turned out to be the last player associated with the brand prior to the bumper crop of 2018 rookies signing with the company. 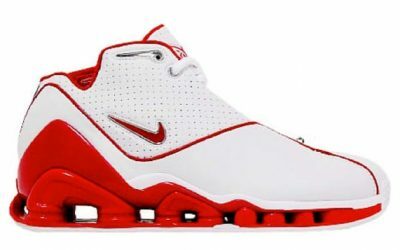 Wearing the Puma Cell Origin Mid, Carter immediately made a name for himself as a high-flying dunker, appearing nightly on highlight reels for plays like his famous double pump reverse baseline jam against the Pacers, and a posterization of intimidating defender Dikembe Mutombo. 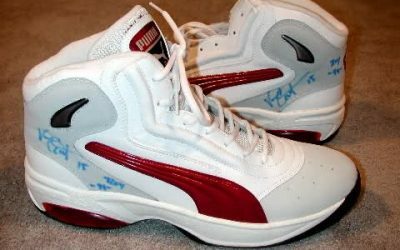 But after less than two seasons, Carter wanted out of his Puma contract. 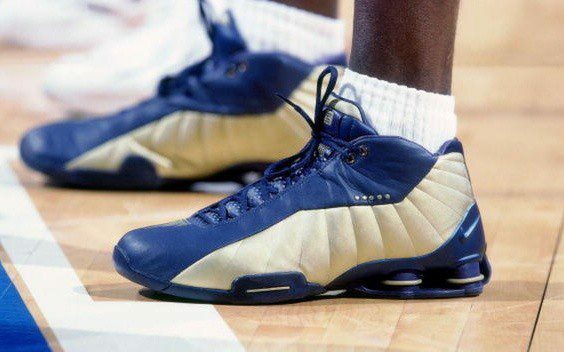 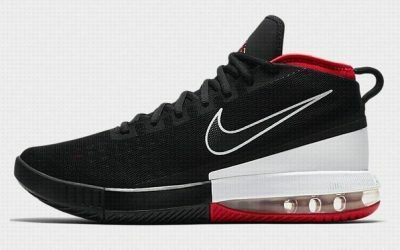 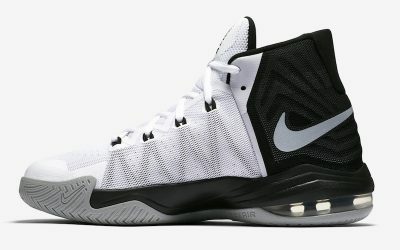 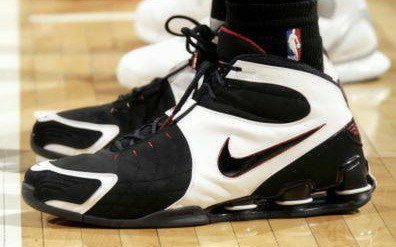 Before signing a new deal with Nike that would last the rest of his career, Carter wore an interesting variety of shoes on the court. 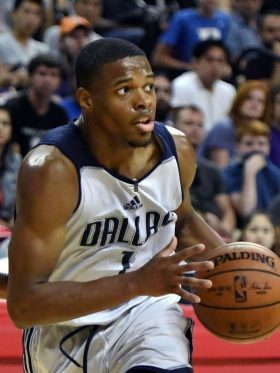 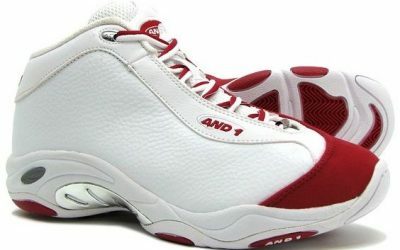 Perhaps most famously, he donned the And1 Tai Chi for his epic 2000 slam dunk competition while a member of the Toronto Raptors. 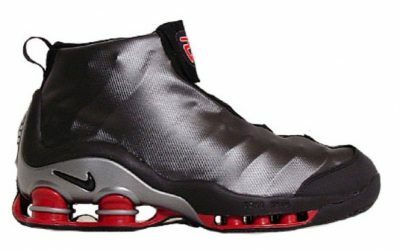 After signing with Nike, Carter became the face of the brand’s Shox line. 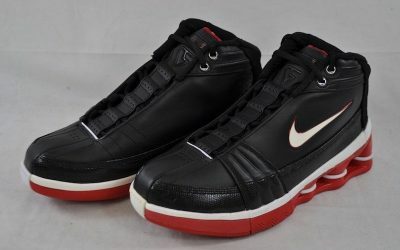 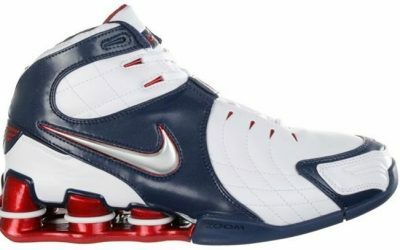 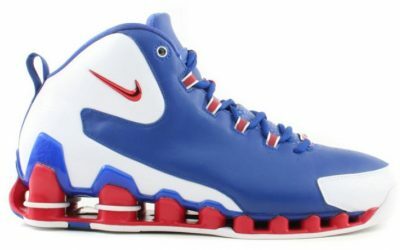 He initially wore the Shox BB4s (which he used to leap over a 7′ Frenchman in the 2000 Olympics), before debuting a successful line of shoes with the Nike Shox VC. 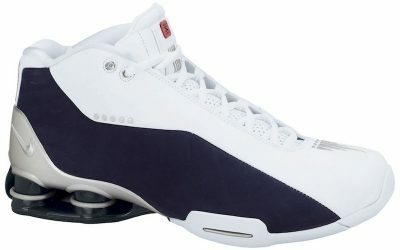 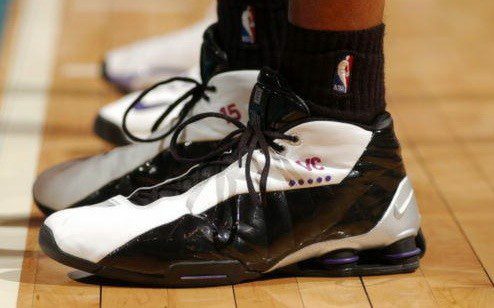 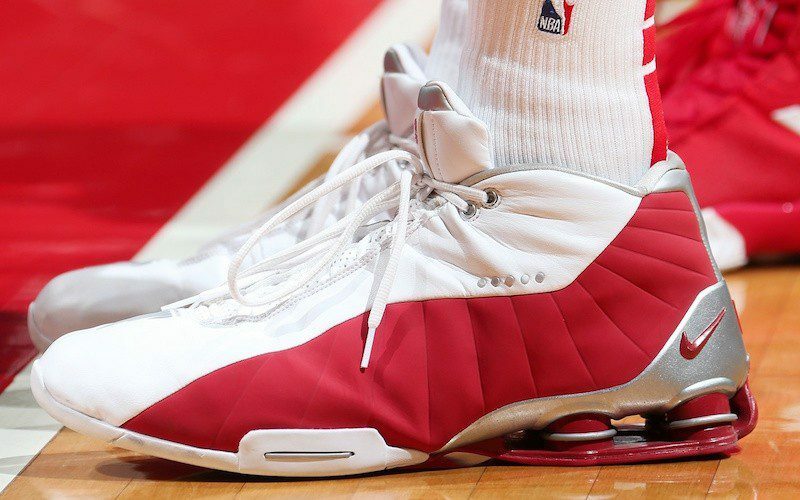 Now with his signature shoe days long gone, the 40-something Carter is getting sentimental and bringing back the Shox BB4. 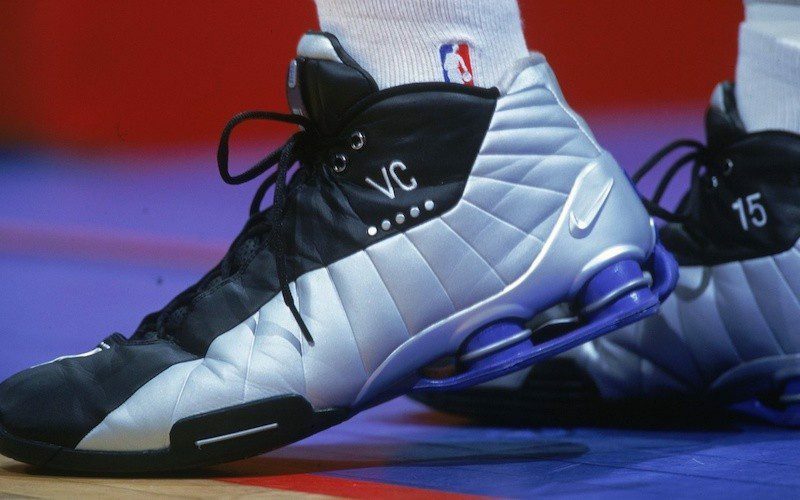 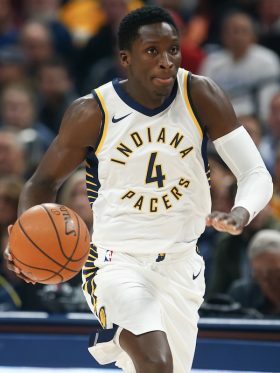 Carter is planning on wearing the iconic BB4s for the remainder of the 2018-19 season.